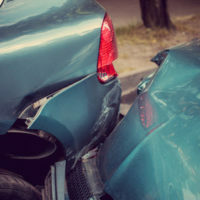 Car accidents can result in serious, potentially disabling injuries that have the potential to impact you for years in the future. Injuries suffered in crashes and collision often end requiring ongoing medical care, while lasting impairments could prevent you from working or engaging in hobbies and activities you previously enjoyed. Getting the maximum amount you are entitled to in a settlement or lawsuit is vital to ensuring any future costs are covered, and it is important to be aware of actions on your part which could impact your claim. Whether you visit your family doctor or seek treatment at your local hospital emergency room, make sure to disclose any symptoms, regardless of how minor. Thoroughly follow your doctor’s instructions regarding work or activity restrictions, and notify your car insurance company as soon as possible. Not stopping because you think a car accident is minor. As stated above, even minor accidents can result in serious injuries. Making statements regarding fault at the accident scene. Do not speculate on the cause or who was to blame. Accepting an immediate offer of cash from the other driver to cover your damages. Never accept money at the scene, as this is in violation of your insurance contract. Posting about your car accident or injuries on social media. Social media is one of the first places your insurance claims adjuster will look in seeking evidence against. Check your privacy settings and play it safe by refraining from posting until your claim is resolved. Not contacting an attorney. Always speak to an experienced attorney before making any statements or signing any documents. To help ensure you get the amount of compensation you are entitled to in your claim, call or contact the Law Office of Steven G. Lavely online and request a free consultation with our Bradenton car accident attorney today.